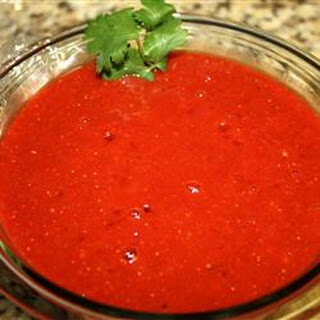 This hot sauce recipe is a fruit based concoction using fresh strawberries and lime with the current world's hottest pepper, the Carolina Reaper. This sauce is outrageously hot. If someone with a black robe and a scythe knocks at your door, don't open it! Put on some latex gloves and open the windows. Stem the peppers and cut them lengthwise. Remove the seeds. If you plan on doing this with Carolina Reapers, this will release capsaicin into the air, basically pepper-spraying you and the entire house. I recommend using a gas mask (painters mask will work). If using dried Carolina Reaper Peppers - reconstitute the peppers by bring a pot of water (about 1/2 cup) to a boil and add the peppers. Boil for a few minutes then reduce the heat, cover and simmer for 5 minutes. Save the water for later. Add ALL the ingredients in a blender and blend until smooth. Pour the mixture back into the cooking pot. Bring mixture to a boil then cover and simmer for 20 minutes. 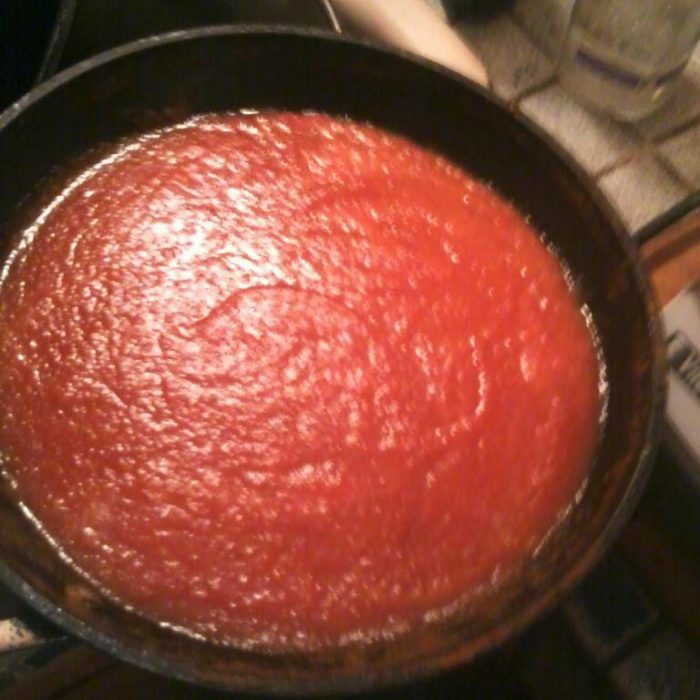 Slowly pour boiling sauce into 5 oz. sauce bottles using a funnel. Be careful! This Carolina Reaper hot sauce will burn you on two levels if it gets on your skin. It will be a chemical burn AND a thermal burn. Flip bottles upside down to cool, this will disinfect the entire bottle. This ph of this hot sauce isn't low enough, so store it in the refrigerator. Whats the storage life in fridge? 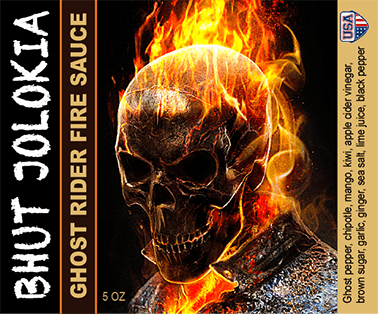 Very good recipe Ghostrider. 5/5 Very good on Chimichangas! Will make again. Awesome recipe, I did change it a little. Did everything but used a large hatch pepper flame roasted instead of the smoked serrano, then doubled the garlic and salt, omitted the brown sugar. The heat is a nice build when eating with chips.It doesnt taste of strawberry much, which is fine with me. 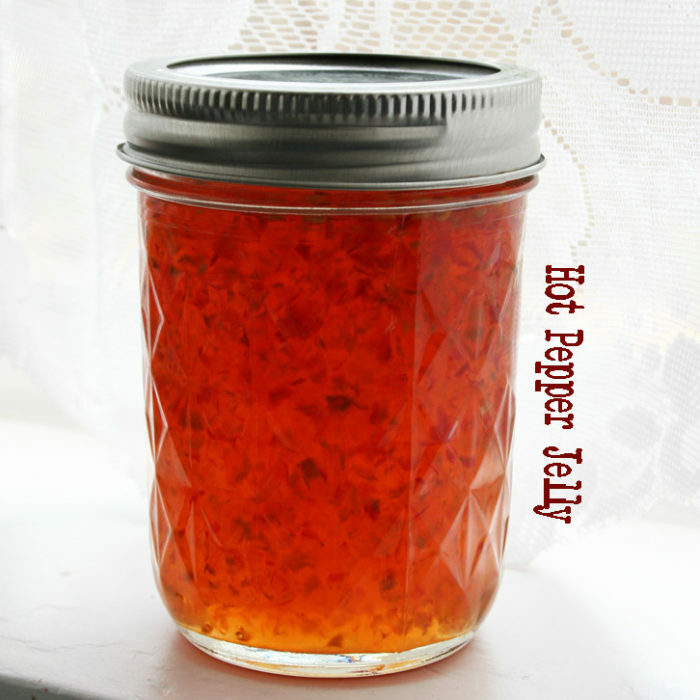 The unaltered recipe gives a neutral flavor when added to food, the overtones are reaper natural flavor (awesome fruity taste) and building heat that is gone within 10 minutes. My next use of this will include more garlic and salt, plus a touch of cilantro. I like this recipe as a base to expand on, for my personal tastes. Recipes are meant to be tweaked! Thanks for the feedback! is good. i did cilantro, 2 hatch peppers, brown sugar, and i used refined sea salt, because i dislike coarse things, lol. the yield was about six 8 oz jars. it was a little less but i got sloppy with the ladle. go figure. i dipped a teaspoon in the product and mixed it in some beans and rice. i still have a warm feeling an hour or two later. nice recipe. interested in others’ takes on storage life. lot of acid in the apple cider vinegar and the lime juice. maybe the strawberries. ??? 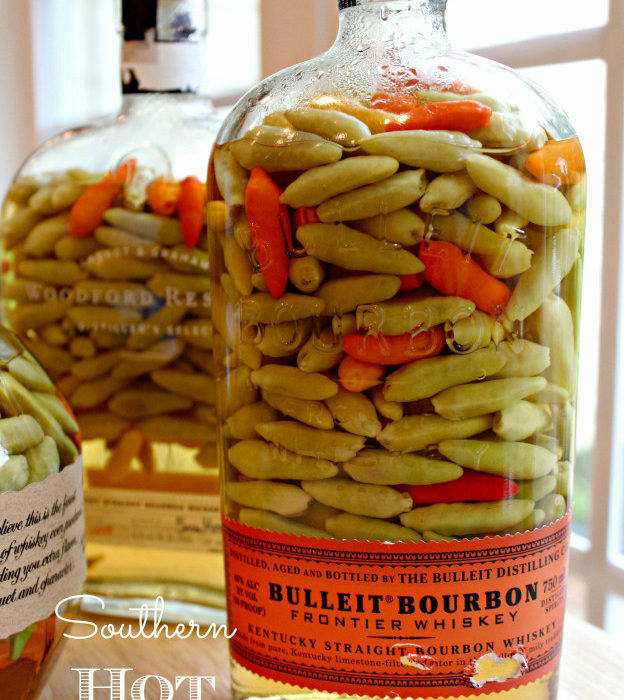 Did you end up testing the shelf life or did you resort to storing in a fridge. Interested to find out.